For over forty years, generations of readers have thrilled to Herriot's marvelous tales, deep love of life, and extraordinary storytelling abilities. For decades, Herriot roamed the remote, beautiful Yorkshire Dales, treating every patient that came his way from smallest to largest, and observing animals and humans alike with his keen, loving eye. James Herriot's memoirs have sold 80 million copies worldwide, and continue to delight and entertain readers of all ages. Listen to this audiobook excerpt from James Herriot's classic book All Creatures Great and Small. These are the stories that catapulted James Herriot to literary fame. When this book was first published, it was merely a simple volume of memoirs by an unknown Scottish veterinarian. But within a year, the book became recognized as a masterpiece. 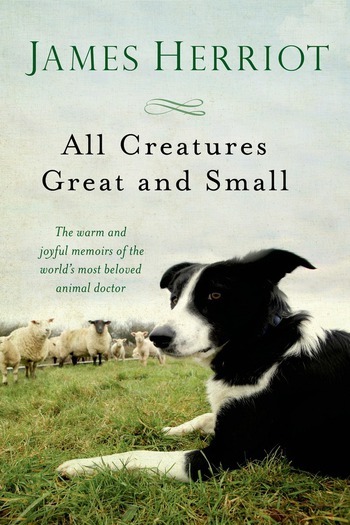 And in the three decades that followed, Dr. Herriot has become one of the most universally loved authors of our time.